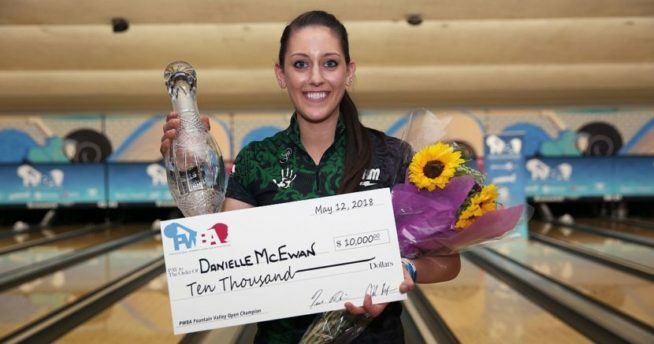 DANIELLE MCEWAN– As the #2 ranked bowler on the PWBA, her year has been solid from start to finish and she’s not slowing down. After a third place finish in the Players Championship, she headed home for a full week (a rare thing for Danielle) to rest and recharge and is headed to Sweden for the Lucky Larsen Masters tournament. 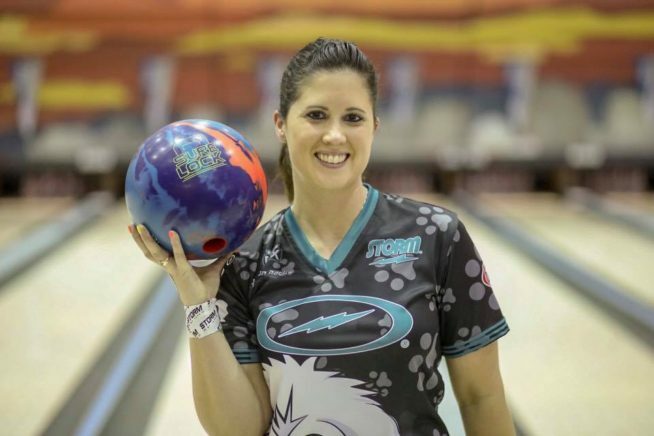 LIZ’S EQUIPMENT– “The balls I threw the most this summer were my trusty IQ Tours, my Phaze II, Idol, and Intense Fire the last few weeks. I won the Luci Doubles throwing an Idol on one lane and the Hustle Ink on the other”, she added about her arsenal. BRYANNA COTÉ– With 3 TV final appearances including 2 as the #1 seed, 2018 has been a career best for Bryanna. 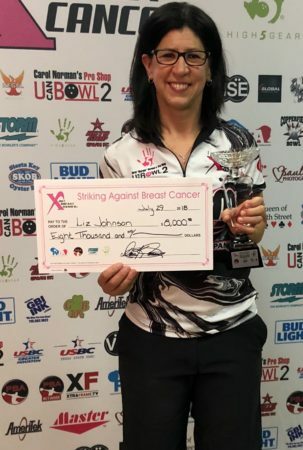 “The highlight of my summer was winning the GoBowling.com 10K Challenge and making it back to the Tour Championship. Between now and the Tour Championship, I’ll be at home bowling some local tournaments on sport conditions and spending time in the gym to get ready,” she said. Being strong and fit is a big key on the PWBA where the format includes 18 games a day at some tournaments. “Weightlifting and cardio are keys to maintaining the stamina to bowling 16-18 games in one day. If my body wasn’t physically strong enough to endure those long days, I would be done before even starting,” Coté said. LINDSAY BOOMERSHINE– With 3 Top 5 finishes in 2018 along with many ups and downs, the roller coaster continued for Lindsay when she had a huge week at the Players Championship, leading qualifying, making the show and finishing 5th but falling one spot short of the Tour Championship. 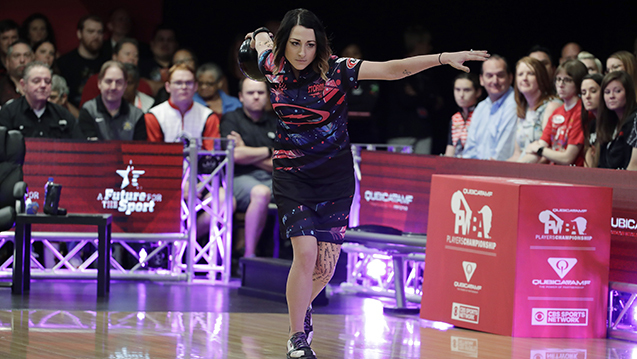 But 2 days later, she received a call from PWBA Tournament Director, Tennelle Milligan only to say that Shayna Ng, from Singapore declined her spot in the season ender which allowed Lindsay the final position and now she’s headed to Richmond.